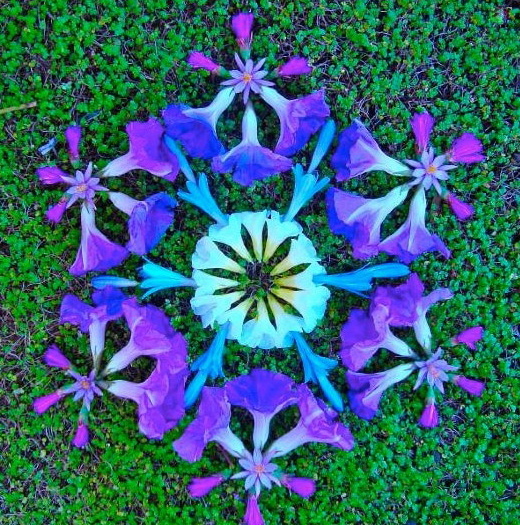 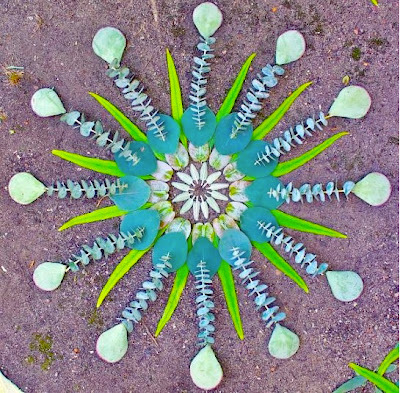 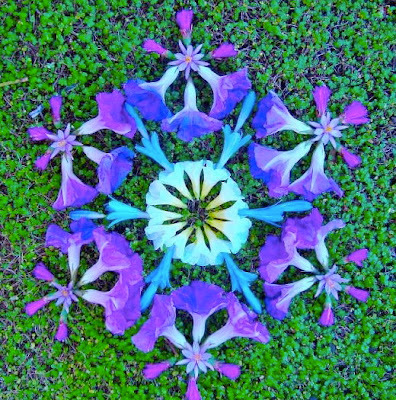 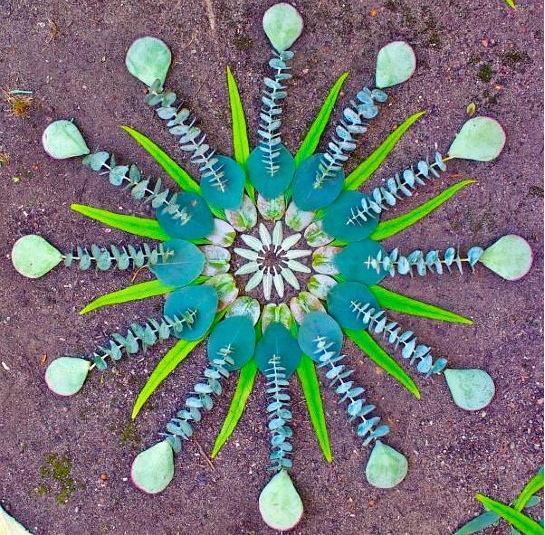 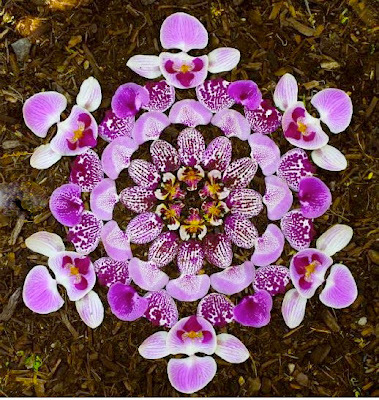 Arizona-based artist Kathy Klein arranges natural objects into sacred kaleidoscopic circles, or what she calls "danmalas." 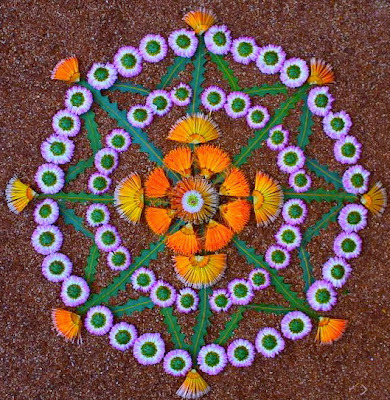 Using blooms, leaves, and organic elements found on site, Klein arranges each danmala while engaged in meditation, allowing the placement of materials to be guided by a higher power. 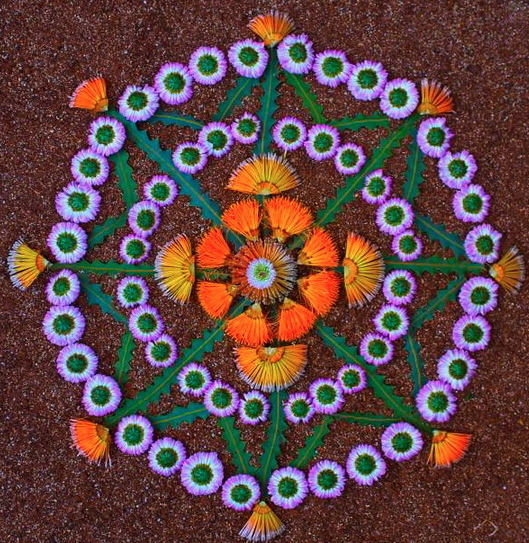 These sacred arrangements are then left behind by the artist at the site of their creation. 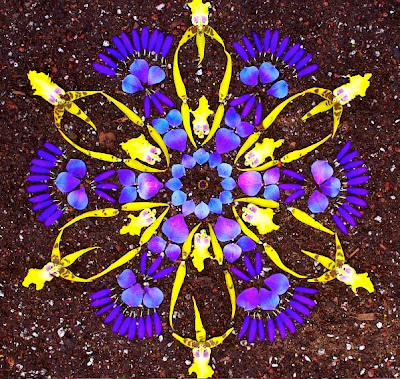 Described by Klein as a "gesture which points towards life's abundance" and the "unspoken verse of love," these danmalas serve not only as a reminder of the artist's presence, but also the moment of divine union with spirit. For more information about the artist, please visit her website here.